In this diagram I used rigid pipes rather than hoses (mostly because they're easier to draw), but the idea is the same. 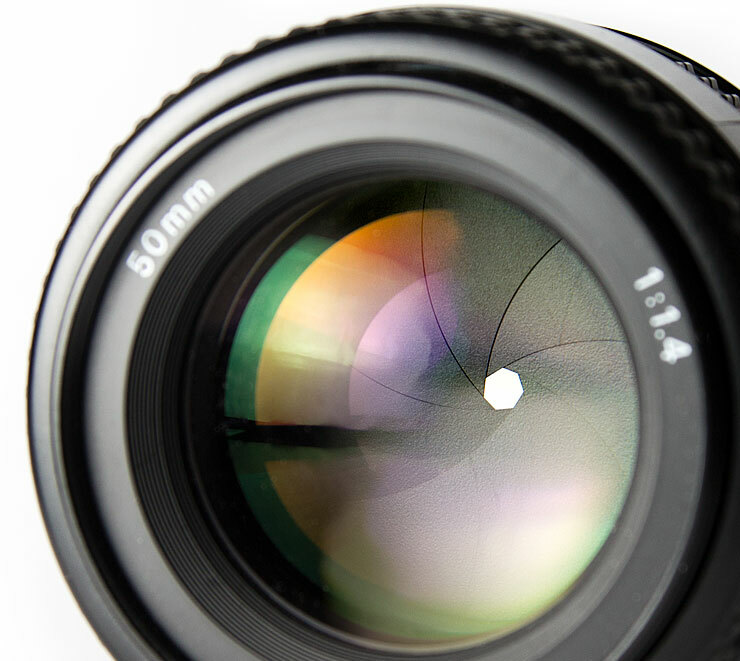 The aperture of this lens is at it’s smallest setting, but can still easily be seen in the center of the lens. The 8 blades that form the aperture can also been seen. In both pictures, the camera is focused on the front face of the teapot, and both are sharp there. However, on the left, the aperture was set to a very small size, so the containers behind and in front are close to being in focus, too. On the right, though, a large aperture was used, so the containers are very blurry. Strangely enough, ISO is almost exactly the same in digital cameras. Most cameras have a base ISO setting of about 100. To increase the apparent sensitivity of the sensor, the camera amplifies the signal 2 that the sensor captures, and modern cameras can generally be pushed all the way up to ISO 6400, 12800, 25600 or higher. This gives them the ability to capture photos in pretty low light, but unfortunately, all of that extra amplification also increases the background data from the camera’s electronics. Think about an audio recording of a voice you’ve made where the voice was too quiet… maybe you recorded a video of someone across the room with your phone, or you recorded a lecture from the back row and it’s hard to make out the voice. You can turn up the volume when you play it to make the voice louder, but that also increases the background hiss and other noises from the room, so it’s often still hard to hear. 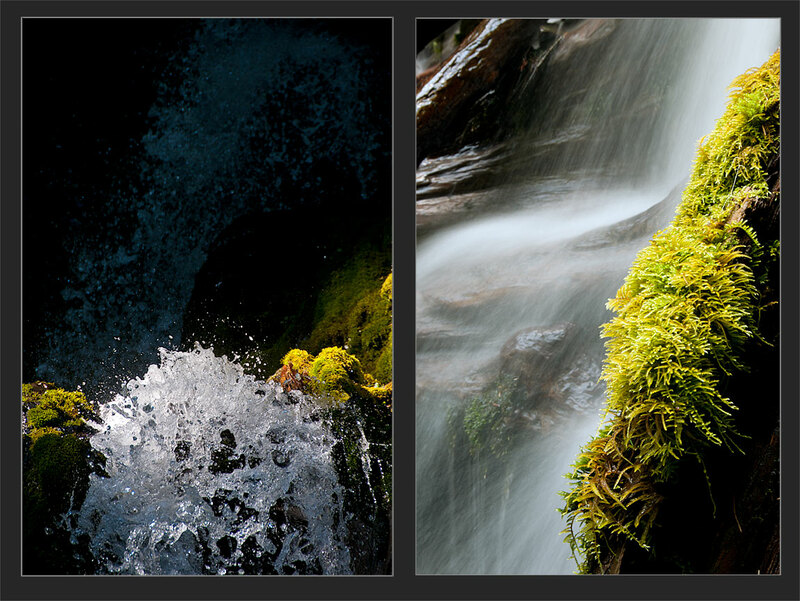 To get a better grip on how these three elements work together to create a photograph, an analogy may be helpful. Think of it this way: taking a photograph is like filling a bucket with water from a hose. If you fill the bucket all the way but don’t overflow, we could say that we have a correct exposure. 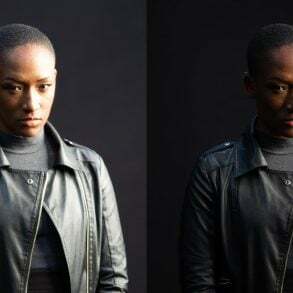 In photography, getting a correct exposure means that the right amount of light gets to the sensor for the ISO setting, creating a picture that is not too bright or too dark. The shutter speed is like the valve on the faucet: you turn it on for a little while to let the water flow through, and then turn it off again. (For the sake of the analogy, assume that the valve only turns the water ON or OFF, like the motion-sensor activated faucets in public restrooms.) If you leave it on for too long, the bucket will overflow, but if you turn it off too quickly, it won’t fill up. Similarly, if you use a shutter speed that is too long, too much light will come through and the picture will be too bright, but if you use a shutter speed that’s too short, not enough light will get through and the picture will be too dark. In this diagram I used rigid pipes rather than hoses (mostly because they’re easier to draw), but the idea is the same. The aperture is like the size of the hose. If we use a standard garden hose to fill the bucket, it will take more time than if we use a fire hose. Even assuming that the water pressure is the same in each case (and we should, for this analogy), a hose that carries twice as much water will fill the bucket twice as fast. If, on the other hand, you use a tiny hose (like aquarium tubing), it will take quite a while longer to fill up the bucket. Aperture works the same way. If you double the size of the aperture, twice as much light will get through to the sensor in the same amount of time. The ISO is like the size of the bucket. If you double the size of the bucket, it will take twice as long to fill it with the same size hose OR the same amount of time with a hose twice as big. Similarly, if you lower your ISO from 200 to 100, it takes twice as much light to expose the photo, so you need to double the duration of the shutter speed or double the size of the aperture. Of course, there are many different ways to fill a bucket: you can use a small hose for a long time, or a big hose for a short time, or a small hose for a small time if you’re filling a small bucket, etc. The same thing is true in photography. 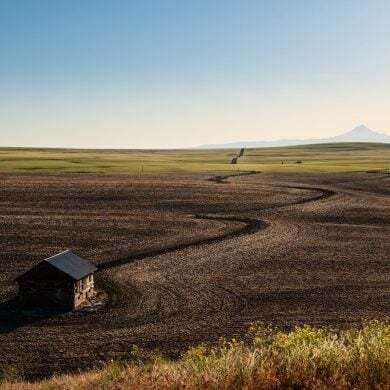 There are lots of different ways to correctly expose a photograph, and since each way will also affect how the photo looks, choosing one way over another is part of the creative process. This article is intended to give you a general understanding of the three most important concepts in photography and their relationship to each other. In the next article, I’ll explain the exact relationship between shutter speeds, apertures, and ISO so that when you change one of them in your camera, you can know instantly how to make up for it by changing another one. Please Comment! If you have questions, I’d be happy to answer them… and I’m always interested to hear whether articles like this are helpful. I have a new found interest in photography. I was browsing the web for articles on photography when i found this one. I thought it was very written beautifully with very easy to understand language in place of technical jargon that i encountered on many sites. Thank you! Thanks :-) Good luck in your endeavors in photography, and let me know if you run into any questions along the way. Just getting back into photography so I’m reading various articles as refreshers and to help me get beyond where I left off. I found the clarity of this article to be outstanding and particularly liked the analogies. Top marks! Thanks Robert, glad you found it helpful! I’m just getting into photography and have been struggling so much with understanding exposure. 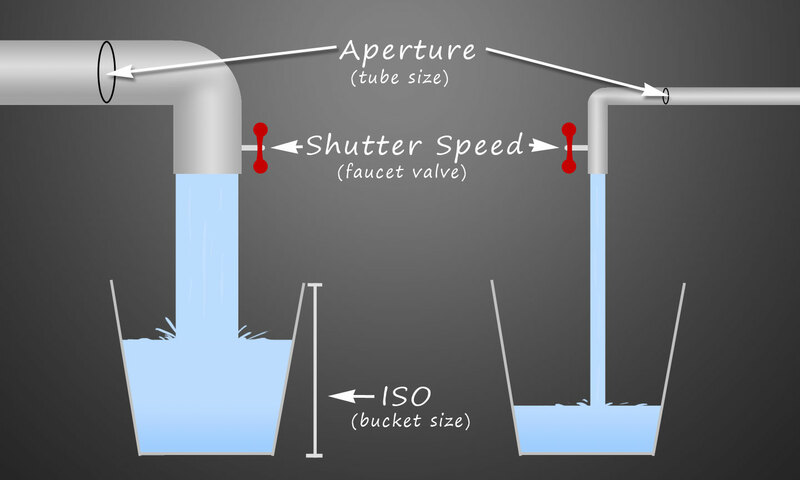 This article is by far the best explanation of ISO, aperture and shutter speed that I’ve seen! Very glad that you found it helpful! Hope you enjoy your photography, and let me know if you have any questions! Glad you found it useful, and thanks for taking the time to leave a comment! Thanks Matthew. I love your site and this article was a helpful reminder. I love your analogies. I used to photograph in the days of film and darkrooms. I still have my Nikon FM2. Loved black and white work, but found colour photography very demoralising, as you were dependent on on photolabs and the status of their chemicals and quality of their processing, so it was hard to learn from the results. Anyway, have just been lent a friend’s Canon eos 500D. A basic camera, but good enough for now, although I’d like something with a faster frame rate for continuous shooting eventually. Looking forward to experimenting and learning from instant results. And reading the rest of your articles. BTW, I’m an editor and just happened to notice a typo – you have says where it should be stays in the 4th line under shutter speed. Glad you’re finding this stuff helpful. I used to love processing my own black and white work too… and I even dabbled with color, though in the end, I decided it wasn’t much fun and left it to the labs. Photoshop makes everything easier, and the results are probably superior as well, but I still miss the darkroom work, now and then. The 500D is a good camera; it should serve you well. Hope you enjoy it! And thanks for pointing out the typo! Very informative for novice DSLR users. I have ‘Canon-1200D’ DSLR with 2 lenses. But I am planing to buy a ‘Sony Alpha SLT-A58Y’ DSLR with 2 lanes. Can you please give some ideas. As a photographer, I shoot with Canon and Nikon equipment, and although I really like some of Sony’s equipment, I’m not familiar enough with it to give you lens advice. Sorry I can’t be more help! Glad you had time to take a look at my article (and video); I’ve run across your site in the past and enjoyed it as well. I’d like to discuss this issue with you further, in fact… in part because I don’t entirely agree with your assessment. Some of this may just be semantic (ie, when we used to shoot film, I could shoot my Tri-X at ISO 400, or pull it to 100 or push it to 800, and process it accordingly, but ASA/ISO at the time was as also described as the film’s “sensitivity” to light). But that’s neither here nor there. More importantly, my understanding is that there are two distinct types of change that occur when you change ISO: there’s a decrease or an increase in gain at the sensor (which requires more electricity and causes more heat) and there are changes better described as “image processing”, which are not hardware based changes; they’re more like bumping up the “exposure” slider in Lightroom/ACR. With Canon cameras, intermediate ISOs (between full stops) are purely the second type of change; there is no change in gain at the sensor, but there are image processing changes from the nearest full stop, so ISO 125 is the same at the sensor as ISO 100 but pushed in image processing, while ISO 160 is actually the same at the sensor as ISO 200 but with the image pulled in processing down to 160. This is why, when shooting video on a Canon camera, ISO 160 has less noise than ISO 125. Although that gain is still part of post-processing, I think it’s a part that can legitimately be described as sensitivity. Unfortunately, I’m so busy this time of year that I can’t give this the thought that it deserves… not even enough to read your page, but I’d like to come back and delve a bit deeper into this when I have the time. This is a great write up. I wanted to ask about Macro lenses, and how that is chosen. There are a couple of things that are important with macro lenses: first there’s the magnification ratio. On many lenses, you’ll see that it’s 1:1 (that’s what a true macro lens should offer), but on some lenses marketed as “macro” you’ll see only 1:2 or 1:4, etc. 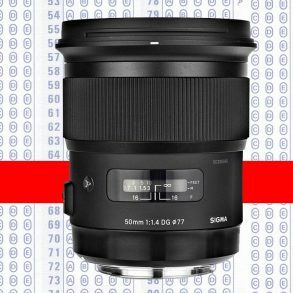 Here’s what that means… with a 1:1 lens, when you’re focusing at the lens’s minimum focusing distance, the subject that you’re shooting will be the exact same size (1:1) as the image that is being projected onto the sensor or film. 1:2 means that that the image on the sensor is half the size of the thing in real life, etc. So, you can have a 1:1 lens that’s a 50mm or a 100mm or a 180mm, etc, and they will all create an image in which the subject is exactly the same size (though the field of view may be a little different), just as you’d expect (see my lens choice video). The major difference, then, is the working distance. If you’re shooting with a 50mm 1:1, you’ll have to be a lot closer to your subject than if you’re shooting with a 180mm 1:1 lens to get the same magnification. This is important if you’re shooting skittish subjects like insects. Finally! Someone who can explain this stuff in a way that really hits home. First, I came across the video explanation on youtube, after watching countless others. Then I followed the link to your site. Thanks so much for doing such an awesome job with the video and article. I will definitely explore your site in depth. Really very useful. Good for beginners. It would be really helpful, if you can provide the .pdf copy of the contents. V interesting , V useful . Thanks!! This was very helpful. Trying to bed down the basic of photography to eventually start with astrophotography. Thank you so much for this site. 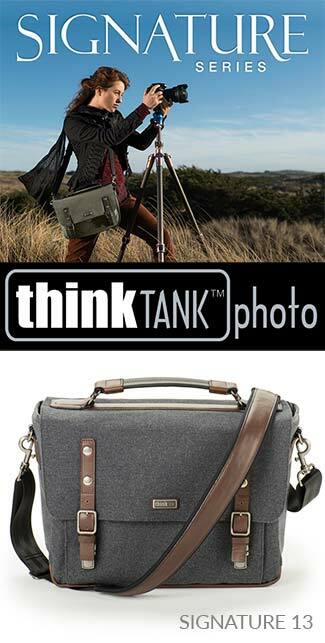 It’s very helpful and encourages new photographers! God bless. Really helped a lot to capture image with proper usage of 3 basic factors in a proportion. Great video on the relationship between ISO Aperture and Shutter Speed. Unfortunately the sound effects and music let it down. Great video and article, thank you! I can’t help you with settings that are specific to a particular camera model… you’ll have to look at the manual for that. However, if your camera has semi-manual controls, shutterspeed can be controlled with “Shutter Priority” mode on the camera (which allows you to set the shutter speed, and the camera automatically sets the aperture) or “Aperture Priority” mode (which allows you to set the aperture and control depth of field, and it will automatically set the shutter speed). Many point and shoots, though, don’t give you that much control. Maybe more important for a point and shoot is to find the “Exposure Compensation” controls. It at least allows you to make a picture brighter or darker. Your video The Three Basics of Photography is brilliant. It is straight forward, concise and explains the fstop, shutter speed, ISO relationship in a very easy to understand manner. Your use of graphics to explain the relationship is inspired. 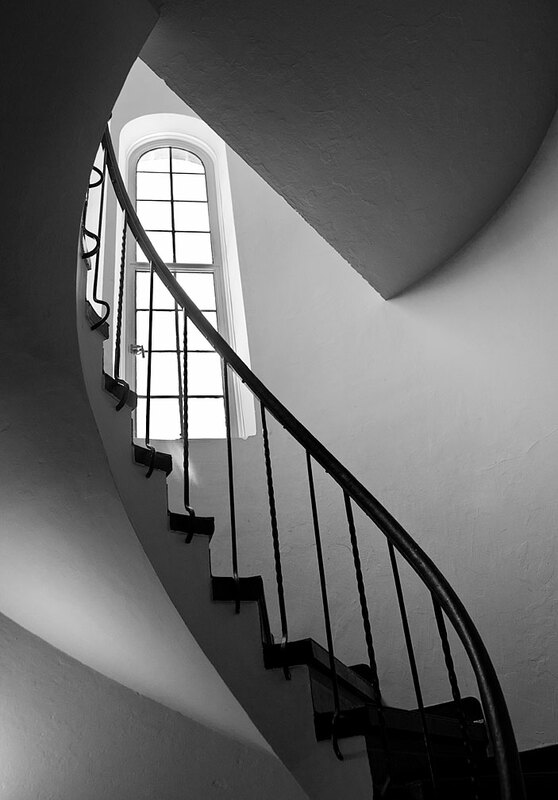 I have been teaching basic digital photography evenings at a local college for years. This relationship is central to good photography and can be challenging to teach in a way that all can understand. Now at the end of the evening when I teach exposure I will be providing the link to your video to my classes. It will be a valuable asset that will further instill the information I cover in class. Together we shall get them through. This was so helpful! I love the video version of it, really let the knowledge sink in and explained in a way so that I could absorb the concept instead of just terminology. Matthew, Thanks for make it easy to understand. This has by far been the best i have come across. Thank you! I came across the video of this post on Gizmodo. I recently started a photography course so this was a good refresher for me. Most of the things explained in the first 3 lessons were explained in 9 minutes. 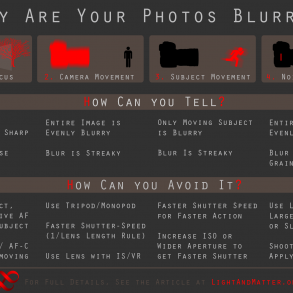 For shutter speed and aperture you explain in what situations you can/will/should use them. Freeze motion and/or blur background. Only for the ISO you don’t provide that explanation. in my course it was explained at which lighting types you can typically use which ISO. 100 for bright sunny, 200 for sun and clouds, 400 clouds/insight, 800 insight/dusk etc….. I know it’s not an exact science but it helped me in quickly deciding the basic ISO setting in any situation and I think that piece of info would make the video even better for beginning photographers. After watching the video I’ve shared it with my fellow student so they can use it as a refresher too! Wow, you are a genius in explaining the basics. All the time I have spent trying to understand the basic dynamics of ISO and shutter speed. I’m so happy I found this sight, im seriously ecstatic. I’m eager and excited to read more. HI, i have T2i with EF-S 18-55mm lens i’ve been looking on how to make a bokeh using this camera and lens. I am new to dslr and not really know what im doing. Is it possible if you can teach me how to do bokeh with this lens? I wil appreciate it. The 18-55 will be a hard lens to get good bokeh, but these are the important things to do. Set your camera to “Av” on the mode dial. Focus on a subject that is as close to your camera as possible. The closer the subject, the more the background will blur. That’s about it :) If you really want to play around with bokeh, though, you’ll need to get a wide aperture lens, like an f/1.8, f/1.4, or at least f/2.8. Luckily, some of these are pretty inexpensive… you can get a 50mm f/1.8 lens for just over $100, though it doesn’t produce very smooth bokeh… the 50mm f/1.4 is better. Good luck! Let me know if my instructions need some further explanation. You might want to start a new topic in the forum on this subject :) Welcome to L&M, btw. Thnks for the recommendation Matthew, i will keep that in mind and thanks for the step-by-step lesson to do bokeh. I cannot wait wait to go outside to try it. I’ve been following your site for a week or so and foudt it very helpful thats why I decided to join. Also your site helped me decide what camera to buy. More power! wow this was literally the easiest explanation ever, i’ve been searching all over the web and it was extremely overwhelming,it was either too boring, or very difficult to understand, i have the worst time paying attention so half of the time i never finish reading anything. but this was great! ^.^ im deff going to stick to this site! very good! I just stumbled across this website as I was doing research on which camera to buy. After MUCH agonizing over whether to buy a Canon T2i or T3i, I finally decided on the T3i (the price difference was under 100 dollars on Amazon, so I figured I might as well!) I am looking forward to delving into the DSLR world and will be coming back to your website often. Keep up the great work! Glad you found us :) Hope you enjoy the new camera! Thanks. This is the clearest explanation I’ve ever seen. I can’t say that I fully ‘get it’ yet, but I think that my efforts to master these 3 components of photography will be far more successful now, thanks to your analogies! I am encouraged because for the first time I can ‘see’ how it works. Set the lighting to “Bright Indoors” for example, and adjust your shutter speed to stop the pinwheel (about 1/250) and notice how the picture darkens. You can then increase ISO to brighten the photo up, but that introduces noise. 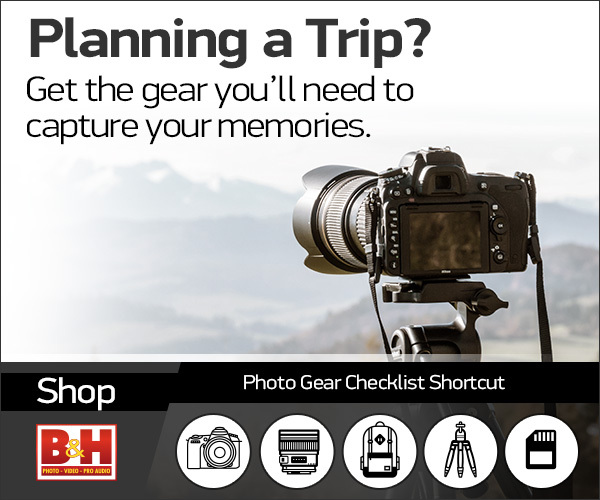 Be sure to pay attention to the mode the camera is in shutter priority, aperture priority, etc. Bill has a good suggestion. I actually find that the camera simulator is much more useful for people who already have a bit of a grasp on the theory (otherwise, it’s not really any different than just sitting somewhere with a camera, which we probably all have at this point). But it is a quick way of testing how changing different settings can affect an image. I’m still working on the next article… it has stalled somewhat; I think I’m making it more complicated than it needs to be. Need to simplify :) Shouldn’t be too long, though. Incidentally, I was in Wilton, CT for the hurricane, and then went up to the coast at Madison… the damage was awful there; it must have been even worse out on Long Island. Glad you made it through. Beginning with “Similarly…” is where I lose it. If ISO is the size of the bucket, and it’s going from 200 to 100 (being cut in half), then it would seem counter intuitive that twice the light (twice the water) would be needed to fill it. I understand actual photography portion, it just doesn’t seem like the bucket size analogy fits there. Again, it’s probably just me being slow. I’ll think about it some more. Many thanks. I will use this with my middle school photography club. Thanks Dan. The follow-up is underway, which I think will also be useful. Good luck! Thanks. We’re talking 20-30 11-, 12- and 13-year-olds, so I need all the luck I can get. But it’s a blast. Glad you found it helpful :) I’ve gotten a bit behind over the past week or so… I’ve been traveling in New England and am currently without power and internet most of the time, due to the hurricane. However, I’ll get back to work on the next article shortly… and with any luck, it will be published by this time next week! The workshop is tonight at 6pm. THANKS. I'VE BEEN THINKING OF GOING DIGITAL. THE BASICS ARE THE SAME AS FILM. I'M STILL INTIMIDATED BUT I WILL MANAGE. I was reluctant to go digital at first, too (though it was 1994), but I think that it was one of the best things that has happened for photography. If for no other reason, it makes it a lot less expensive to take lots and lots of pictures, and that at least gives people a chance to practice a lot more. And practice, after all, is how we get better. When I was in high school, I used to buy 35mm film in 100 foot rolls and roll my own film, and develop it 5 rolls at a time :) I miss darkroom work, but I really do like digital. I love that bucket diagram. I’ve never seen it explained better. Very clear and helpful! Thanks. Very happy to hear it :) I think the next one in this series will be just as important. Thanks so much for making this so easy to understand! I have felt really stupid having to ask questions about these things, you have given fantastic examples of what you are explaining. Thank you!